Within the Food sector the emphasis on checkweighers is especially high. The requirement is now for accurate weight control and a system that can be easily hygienically cleaned. 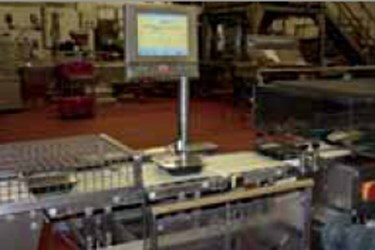 Headland Foods Ltd., one of the leading manufacturers of Frozen Ready Meals in Great Britain, has chosen the OCS HC-WD checkweigher as it meets its specific requirements. The HC-WD not only provides precise weight control, but also with its HACCP compliant design and IP 69K rating, ensures cleaning to a strict and repeatable high standard is simple to achieve in "High Care" areas. Headland Foods Ltd. established in 1990 is part of the Prize Food Group and is a leading manufacturer of Frozen Own Label Ready Meals in Great Britain supplying major retailers within the UK. Over two million meals a week are produced within its Flint and Grimsby sites. Having invested £15 million sterling in the new Grimsby site and installing the latest automatic Lasagne production line, the Company continues to invest in people, manufacturing facilities and processes so that it continues, "to be recognised as the leading Frozen Ready Meal manufacturer in the UK".